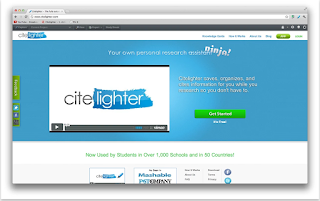 Cite lighter is a very good web tool for student researchers, teachers and academics. It combines both the features of an academic search engine and an organizational framework for helping students with their research papers writing. Citeligther allows you to easily search for facts and information to back your arguments and it automatically cites your sources using different citation styles: MLA, APA, and Chicago). To start using Citelighter, you will need to sign up. 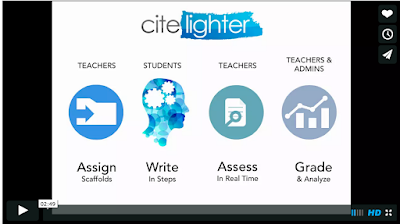 Once registered you can then download Citelighter toolbar to help you manage and organize your materials. Using the different functionalities of your toolbar, you will be able to start on writing your own paper. You can search for and capture important information to add to your paper, Citelighter takes care of the bibliograhic work for you. Watch the video below to learn more about how Citelighter works and what you can do with it. Cite lighter offers both a free basic account with limited features and a premium account with more advanced features.